February 27 is the Feast Day of the Patron Saint of Handgunners, so what better reason for a trip to the range? This morning six of us gathered to enjoy some shooting fun. The thermometer read 27° when Colleen and I arrived, found one of our group already there. He was wisely sitting in his car enjoying his coffee. We quickly set up our targets and loaded magazines and began enjoying ourselves. After the first round of shooting, more folks arrived as we were trying to warm our hands. Soon we had a full line of shooters sending rounds downrange. The sounds of freedom were ringing loud. Besides shooting, we enjoyed fun banter and conversation on age, politics and the Church. After around an hour and half of shooting, most of us were out of ammo so we reluctantly packed up to leave. Of course, it was about that time the side of the bay I was standing on finally saw some warming sun. At least it made the brass easier to find. It was a fun morning with like-minded folk. I should do some research on other Saints with associations with firearms for future outings — a Saint whose Feast Day in during the warmer months would be ideal. 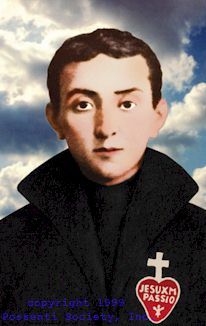 Today, February 10, is the anniversary of the martyrdom of Blessed José Sánchez del Río. 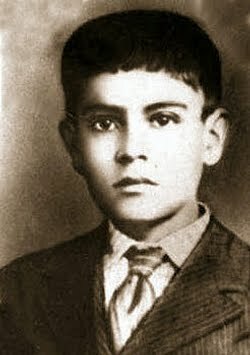 On this date in 1928, this 14 year old boy was killed for refusing to renounce his Catholic faith during the Cristero War. The story of this period of Catholic persecution led by Mexican President Calles was told in the movie "For Greater Glory". After José was captured by government forces, he was forced to witness the torture and execution of fellow Catholics, yet he never wavered in his resolve. He was himself was tortured and urged to shout "Death to Christ the King" with the promise his suffering would be over. On the day of his torturous execution, the soldiers cut the soles of his feet and he was made to walk barefooted to the grave they had dug for him. 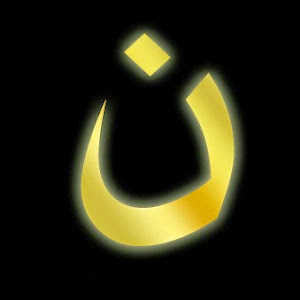 He was repeatedly stabbed with bayonets as he made his way to the place of his martyrdom. 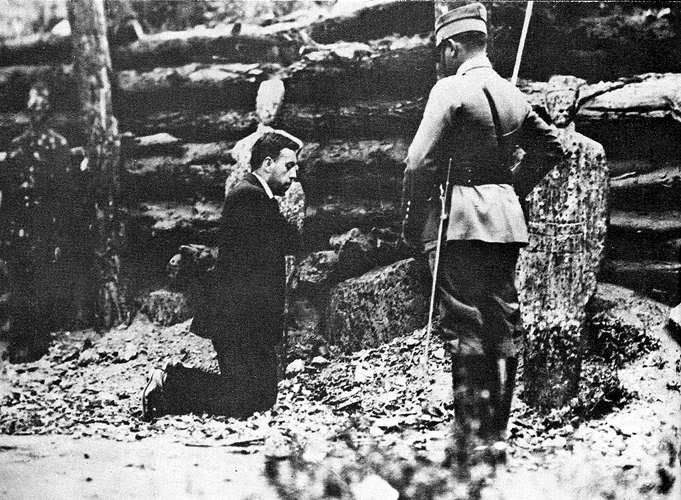 Even after he had been shot he continued to cry out "Viva Cristo Rey!" ("Long live Christ the King!") The commander of the soldiers was so furious that he was able to resist the government barbarism, he finally shot the boy in the head. As he died he is said to have drawn a cross on the ground with his own blood. Blessed José Sánchez del Río was beatified by Pope Benedict XVI on November 20, 2005. During the Cristeros War many Catholics were killed by the Mexican government for their faith. This tragic part of recent history is pointedly ignored by the history books in both the United States and Mexico. It is a story that needs to be told and learned by all free people. The people of the United States shared in the tragedy, as our own government supplied both arms and air support for the Federales in their battles with the Catholic faithful. As the attacks on the Church increase in the United States, with the aggression led by our own government, we would do well to remember the resolve of this strong young man, and pray that we too will remain faithful through whatever trials await us. Blessed José Sánchez del Río, Pray For Us! 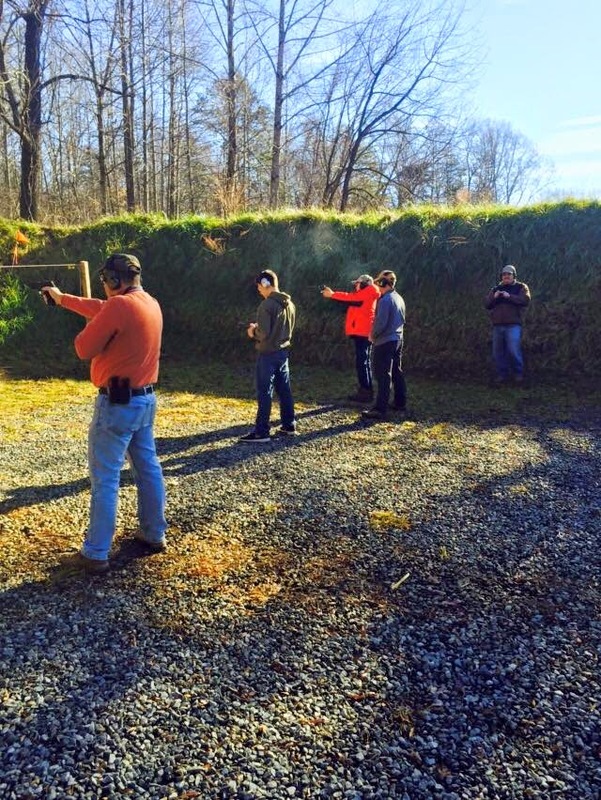 A wet morning didn't dampen the fun when local Catholic shooting enthusiasts got together at the range on the morning after Christmas. The "Gabriel Possenti Shooters" annual gathering included a few hours on the pistol range shooting at paper and clay targets, follow by more fun on the rifle range. See "Gabriel Possenti Shooters Range Trip" at the Musings Over a Pint blog for more. Today is the Feast Day of our patron Saint, Gabriel Possenti. In his honor, why not take a friend to the range today? I am often struck by how the Saints work themselves into our lives. One Saint with whom I am feeling a growing connection is St. Gabriel Possenti. Today, February 27, is the Feast Day devoted to this interesting Saint. St. Gabriel Possenti was a Catholic seminarian in Isola del Gran Sasso, Italy. In 1860 he is said to have used his skills with the pistol to drive off a band of marauding soldiers who were terrorizing the town. Possenti faced the troublemakers after grabbing revolvers from two soldiers. As they laugh at the young student, he took aim and accurately shot a lizard that was running across the road. Impressed, the soldiers left the town, escorted by the seminarian, who had become the hero of the town. 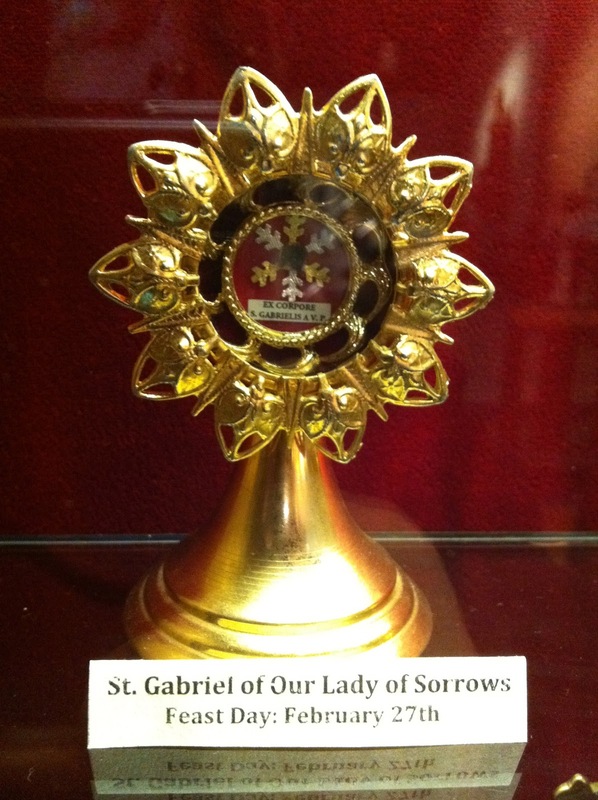 A couple of years ago, our parish was presented with a relic of St. Gabriel Possenti, under the name St. Gabriel of Our Lady of Sorrows. It was an exciting moment when I saw the blurb announcing the displayed relic in our weekly bulletin. Since then, I've enjoyed sharing the story of Gabriel Possenti with many parishioners. When some local Catholics were looking for a name for a blog devoted to Catholicism and self defense, we were naturally drawn to honor the Saint by creating Gabriel Possenti Shooters. I dare say most of our Catholic friends who also enjoy shooting are familiar with the Saint and his story. Recently, I was looking at my Virginia Concealed Handgun Permit when I was struck by the anniversary date printed on the permit — February 27. Wow, my permit was issued on the Feast Day of the Patron Saint of Handgunners! That's some "coincidence." It would appear the Saint has been watching out for me longer than I have been aware of him. Sitting around Christmas evening, I got an email from a friend who was arranging a trip to the range for Friday morning. He had included a few fellow parishioners from our church as well. The temperature was expected to be in the unseasonable 50's the next day, making the range trip all the more attractive. The morning dawned cool, my car dashboard read 30° when I left the house, and the frost was thick on the ground. When I arrived at the range one friend and his son were already there but surprisingly no one else was using any of the ranges. Very soon, two more friends arrived, one also with his young son. Everyone set up their targets, we loaded guns, and got quickly to the shooting to work off the chill. We shot for just over an hour. There was a lot of camaraderie and friendly banter. There was a variety of firearms on the bench so it was also a good chance shoot some different guns. I took the opportunity to try out another SIG I had never shot, a P229 in .40. Everyone was most generous in sharing, as gun folks generally are. I've known all of the guys, and their sons, for a long time, but had only shot with one of them previously. I was very pleased, but not surprised, to see everyone was very conscientious regarding muzzle awareness and safety in general, even the kids. The head Range Officer had been sitting in his car watching us for a long time and after I finished, I went over to talk to him. The first thing he said was "I love sitting and watching a group of shooters all being safe and doing what they are supposed to do." That was indeed a compliment coming from him. There's already talk of making this an annual "Day After Christmas" event, and perhaps we can expand the event to include more of our fellow parishioners. (And of course, making it more frequent would be welcome too.) I look forward to shooting with these guys again. Catholic and armed, my kind of people!